‘Bold and the Beautiful’ Spoilers: Taylor Used by Dr Reese in Bizarre Xander Twist? Bold and the Beautiful spoilers suggest Taylor Hayes (Hunter Tylo) is slated for a new love interest, Reese Buckingham (Wayne Brady). Now that Xander Avant (Adain Bradley) is about to exit the soap, the plot could thicken. While Taylor appears infatuated with Reese, the mysterious doctor might have a hidden agenda for cozying up to Taylor. Adain said his goodbye to fans via Instagram this week. He’s completed his last day of taping for the soap and a movie role is his next venture. Adain did say he was done filming for the year at B&B. So it looks like he’s planning to be away for a while. Reese recently showed up on the B&B scene. He followed his daughter Zoe Buckingham (Kiara Barnes) to Los Angeles from across the pond. Reese knows his daughter chased Xander Advent from London to LA. Furthermore, he admits this didn’t thrill him. Bold and the Beautiful has kept Xander Advent and Zoe’s backstories under wraps so far. But it looks like the big reveal is about to emerge. When Adain took to Instagram he left out most of the details about his future plans. He didn’t even mention the name of the movie he’s leaving B&B to do. While his exit leaves an empty canvas to paint it’s about time for one of those old-fashion twists in the Bold and the Beautiful plot. Taylor Hayes is about to meet Reese at a party that Steffy Forrester (Jacqueline MacInnes Wood) throws for the staff at Forrester Creations. 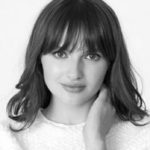 Bold and the Beautiful spoilers hint Taylor’s infatuation with Reese leads to a new love interest for the woman whose becoming unhinged these days. Why did Bold and the Beautiful bring in Zoe’s father as a romantic interest for Taylor Hayes? She could have met a young model and create a cougar-type of buzz among the characters. Taylor is unstable, which they’ve made obvious on the show. Reese Buckingham is a doctor, so he is bound to recognize Taylor’s fragile mental health status. Soap Central’s recent interview with Wayne Brady revealed his character’s mindset on the show. While Reese appears like a charming and successful guy, there’s something mysterious about him, which Brady himself offered up in the interview. Brady also said that Reese’s life revolves around his daughter Zoe. The things Reese says and does is based on his love for his daughter on Bold and the Beautiful. Xander flew the coop in England and came to the US to get away from Zoe. This broke her heart but now seeing the two together again worries Reese. While Bold and the Beautiful is bound to share what happened back in London eventually, it’s still a mystery today. Reese made his feelings clear to Xander Avant at their first meeting in the US. Reese Buckingham told Xander that he’s not thrilled about the way he left. He also made it clear to Zoe he’s not happy that she followed him. Is Reese Buckingham about to give Xander Avant his reason to exit Bold and the Beautiful? At the same time, has Reese stumbled into the perfect scenario to use Taylor’s deteriorating mental status for a ploy that frames Taylor? Reese was brought into B&B for a reason. Now with Adain announcing he’s leaving for a while, which means Xander must make an exit, where does Reese fit in? Better yet, why is B&B hooking him up with an unstable Taylor Hayes? It seems there’s another story plot brewing, one that may involve Reese taking advantage of Taylor. It may also have something to do with Xander’s character leaving as well. The good doctor cozies up to Taylor Hayes but is it for the sake of love? Or will she be used by her new love interest? Watch B&B weekdays on CBS and make sure to come back to Soap Dirt often for the latest Bold and the Beautiful spoilers and news. ← 90 Day Fiance: Ashley Martson and Jay Smith Married in Jamaica – Leaked Pics! I'm obsessed with reality TV and what people will do to get their 15 minutes of fame. I enjoy soaps and sci-fi shows as well. 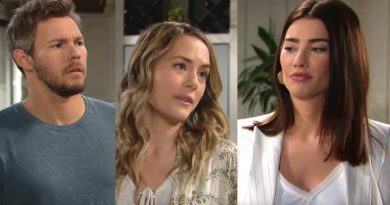 ‘Bold And The Beautiful’ Weekly Spoilers April 16-20: Liam Chooses Hope – Taylor Shoots Again!